Do you like games with stories, games where you need to solve - sometimes tricky - tasks to move farther? Do you like incredible new worlds? Then we have five tips on games that you should not miss. Here's a list of the best "point and click" adventure games that you can download and play on your iPad and iPhone for free. There are sometimes some discussions about what really is an adventure game - and what is not. 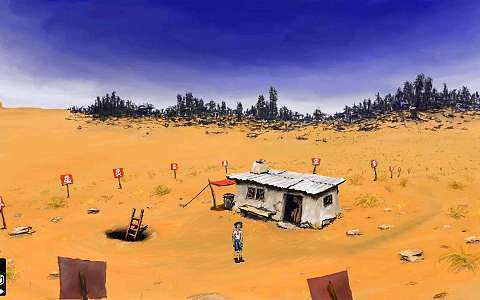 OK, here we offer a selection of the so-called point-and-click adventure games. All the games here are of the genre of adventure games in its purest form. Every one of these games has a good story, you can collect useful items there and you can use them on the right places to solve some tasks and get farther. So we skipped all the games where it's just about finding hidden objects (ie. hidden objects games) or just about solving puzzles (puzzle games), as well as games where you just have to quickly escape from a room. Simple and short: We are concerned about pure Adventures! How to select the best iPhone and iPad adventure games? How many points should we give to every one of the games for their graphics, how many for a plot, how many for a balanced complexity and puzzles? Finally, we went through hundreds of games, read what players are saying about them and tested them on our devices. And here they are, the best adventure games. For each of them you can find out from our text why we chose it. 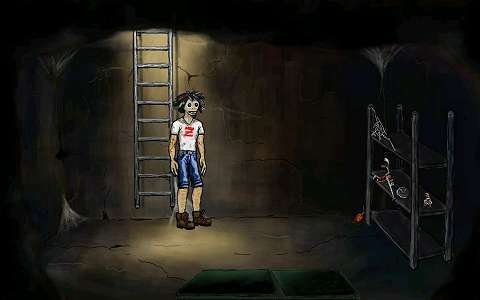 One more note: We have found a lot of adventure games that pretended to be free, but free were just very short parts of them, more like demos than real games. We decided we didn't want these in this list. All the games here offer more than just a demo. But enough... Let's go to the five best mobile adventure games for iOS. We are looking forward to your comments and recommendations on what games to test next time to compile another best-of list. Finally let us add that the five best games are not arranged in any special order as it is hard to determine which of them is really the number One. The decision is up to you. 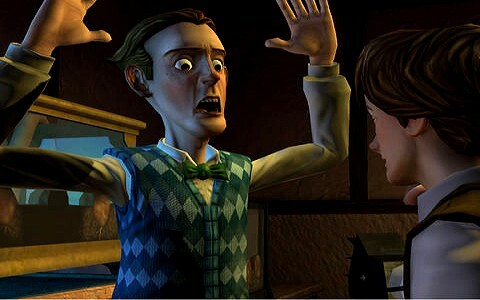 This point and click adventure game for iOS - iPad and iPhone - is simply great! The Silent Age. Some of the competing games mentioned below might offer more elaborate graphics, but this game has a great idea and it is created really well. 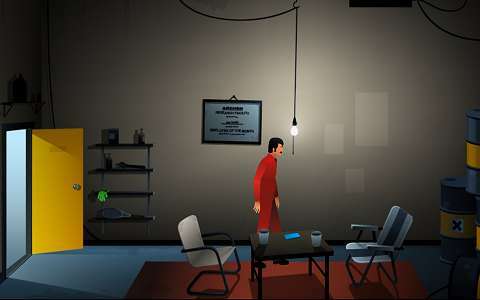 This point and click adventure game, The Silent Age, takes you into the world of the future, where mankind has died out. But the game does not rely only on one time period: During the game, you will travel in time, or, to be more exact, you will travel between two time periods - the golden 70's and the future. This option not only adds to the attractivity of the story, but also allows to innovatively overcome obstacles that you, or, in fact, the hero, encounters. A mysterious man dying shortly after the beginning of the game warns the hero that terrible things are coming, and begs him to stop them. Joe, the main hero, gets a time travel machine from him. When he uses it later, it gets him into the future - without people. What has happened? And why? The first episode of the game is free, the second one is paid. Back to the Future - is there someone who does not know the movie of the same name? The author of this game is a company named Telltale Games - and the game is licensed by Universal Studios - so you can find what you already expect here. The authors say the first episode will be free only for a while - and at the time of writing of this article it is - so this game for iOS definitely belongs to our list. And what the game is about? 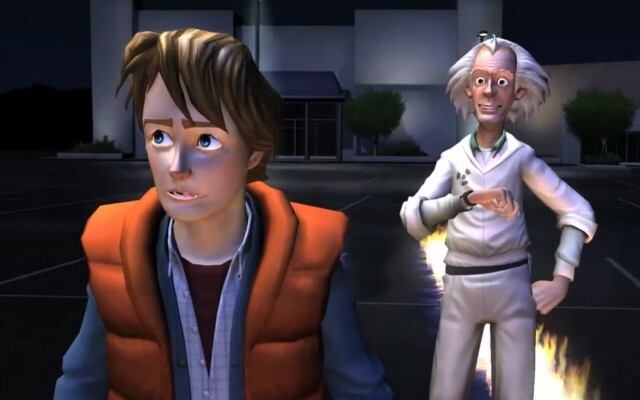 Marty McFly and Doc Brown return six months after the end of the third film, the Time Machine mysteriously returns to Hill Valley and Marty must go back in time and get help from an uncooperative young man Emmett Brown, or there will be a really big problem with the space-time continuum. The game is very nicely created in 3D, but sometimes you may feel that you are watching a movie. There are however a number of exciting opportunities to play - and an interesting storyline, so we can guess you will not be disappointed. Mutants vs. The Chosen is the first part of Mutants vs. The Chosen serie. What the game is about? It takes you to the world of the future, which does not look good for many humans, as they are plagued by poverty, diseases and visible genetic mutations. But an even bigger problem is there now: Armed raids of the Chosen Ones. This point and click adventure game for iOS looks beautiful: The Wolf Among Us. 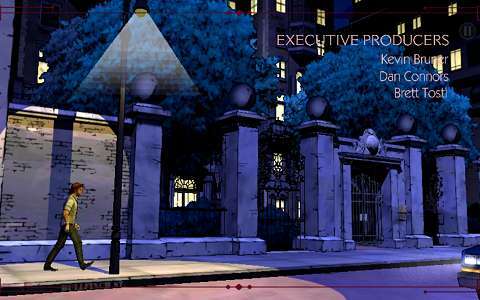 Sometimes it looks like an interactive animated film sometimes, but don't be fooled - it definitely belongs to the genre of point and click adventure games. It has a great atmosphere, great sophistication and stunning graphics. Who is the main hero? Bigby Wolf, the sheriff of Fabletown, and his main concern is the protection of fairy creatures that live there. But be careful - it is definitely not a game for young children. Quite the contrary. The game is based on the comic books Fables and lavishes vulgarity and violence. From the very beginning. 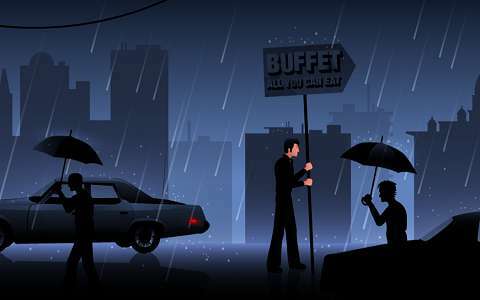 The game begins in a situation where Bigby rescues a young prostitute from the clutches of a drunk guy and there is a rough skirmish because of it. We will probably not be wrong when we predict that the company which stands behind this game is well known for you - Rovio! Yes, Rovio stands not only behind the famous Angry Birds series... 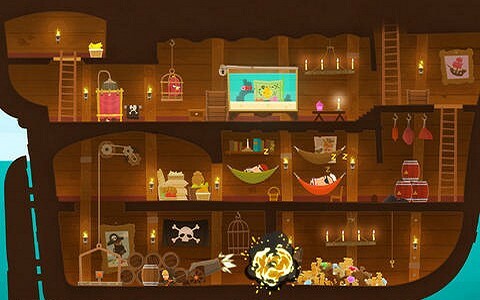 Tiny Thief is a very original adventure game - but nothing like Angry Birds! The game offers a nice graphics, good control and a good portion of humor. The first episode is free. And that's all for today. Now - just enjoy the games! And share your views on all these games and your tips for others here in comments.